Have you been always passionate about traveling and curious about different and unique cultures? There are many reasons why you might choose to go on holiday or even decide to work in Malaysia. For many years now people have chosen Malaysia as their number one places to live and work. If you’re a fan of balmy summer evenings, a favourable climate, and a variety of delicious foods, Malaysia is surely heaven. Kuala Lumpur is still the favourite destination for teachers to go and work, and it’s no surprise really; it’s its own world. It’s a shopaholic’s dream and you’ll be amazed at what kinds of things you can pick up and for great prices too. Of course there’s more to Malaysia than spending all your hard earned cash, it’s also a cultural hub full of a wonderful mix of different people from all backgrounds around the world. You’ll never grow bored with the 24/7 entertainment of Kuala Lumpur and the beautiful pristine beaches and lush wild rainforests. Yes, Malaysia really is paradise! 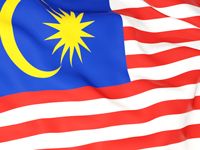 Contact Vicky on VL@SeekTeachers.com if you want to land a dream job in Malaysia! Please note: The school may hold interviews as and when applications are received, and this job may be withdrawn at any point without notice. With this in mind, you are encouraged to apply as early as possible. To apply this position, contact Vicky on VL@SeekTeachers.com TODAY!